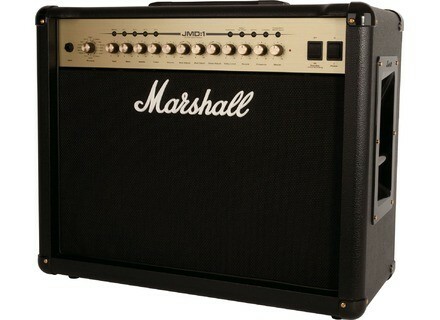 JMD501, Modelling Combo Guitar Amp from Marshall in the JMD1 series. Want to eat your cake and have it too? 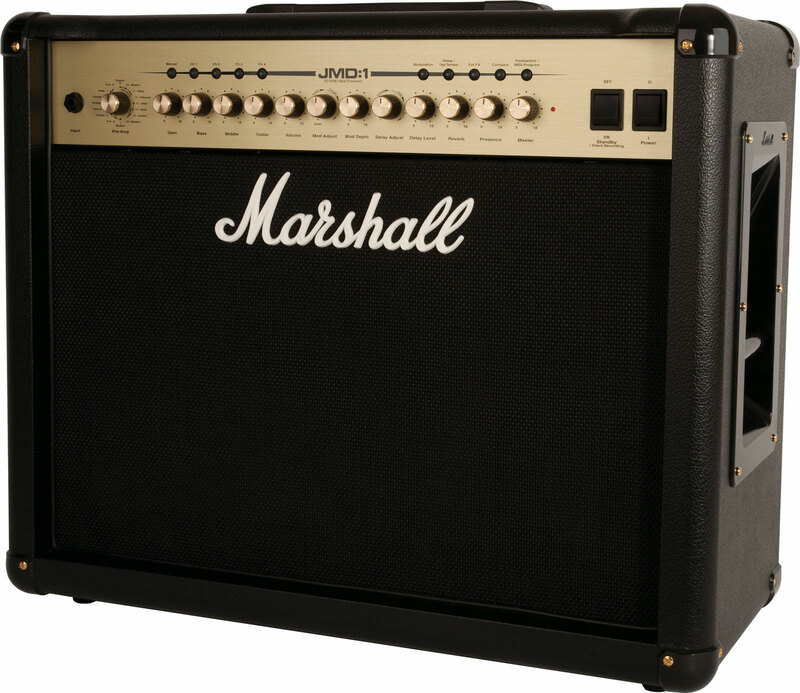 The JMD501 is the 50-watt combo version of the JMD:1 product family. 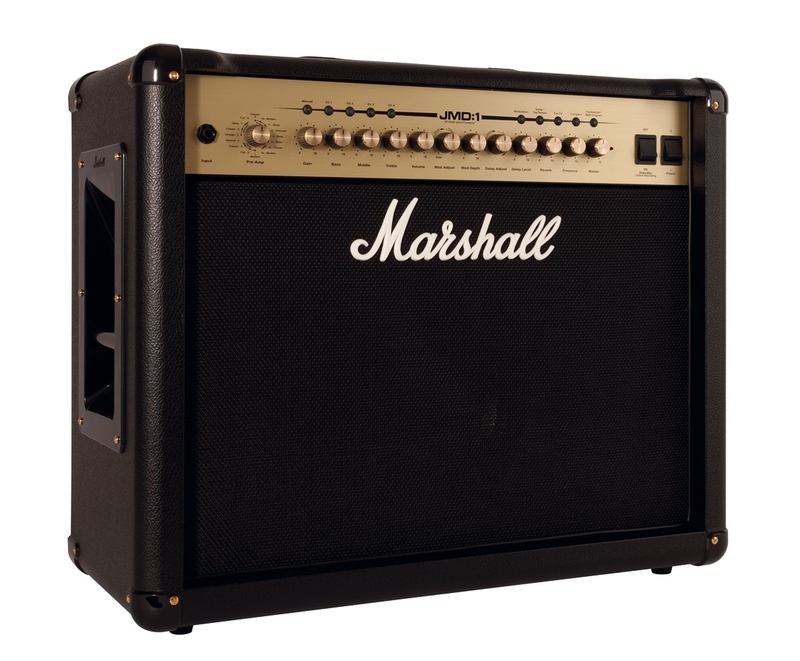 As soon as you take it out of the box, you'll immediately recognize the typical Marshall look: golden front, classic knobs, logo, typography... Nothing new on this amp! The dimensions are standard for a 50-watt combo (25" x 20.7" x 10") and it weights 50 lb. 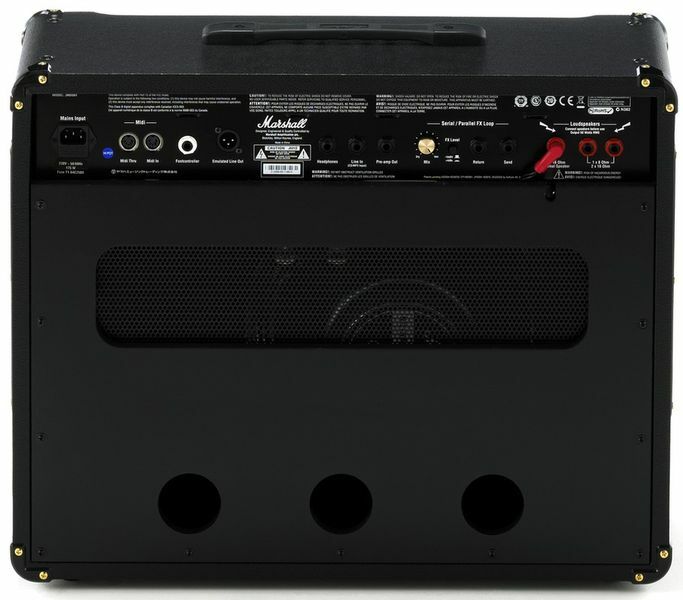 It features a 12" speaker, two EL34 power tubes and one ECC83 preamp tube. On the front panel, you'll find an input for connecting your guitar and a knob for selecting one of the 16 amp models available. You'll have to read the user's manual in order to know which hardware is being emulated: there are no "I'm a JCM800" or "I'm a JMP-1 with a Guv'nor" labels. You'll have to settle for ambiguous descriptions like "Clean natural" and "Lead Classic"! Perhaps Marshall didn't want to push it too far. Just read the user's manual to find out the topology of each model. The front panel also includes a standard gain control, a 3-band EQ (bass, middle, treble) and a channel volume knob. All five controls work in different ways depending on the selected preamp model. You have four channels to which you can assign any setting. And it also features a manual mode, which is very convenient to get an overview of the amps' sound possibilities. There is also a foot switch included that allows you to toggle between channels/presets. Like on Line 6 amps, a single control allows you to select and adjust one of the modulation effects. You can choose between gate, chorus, phaser, flanger, and a tremolo controlled by the Mod Depth setting; the speed rate is defined by the position of the Mod Adjust knob. Unfortunately, it is impossible to mix two effects. The amp also provides a delay effect with tap tempo and different modelings that affect repetitions (Hi-fi, Analogue, Tape and Multi). Apart from that, the JMD501 includes a digital reverb. All in all, thanks to its effects and control possibilities, the amp proves to be a very comprehensive tool. The presence knob is placed at the end of the signal path, just before the master volume control. Finally, also notice that the amp is equipped with power and standby switches. The JMD501 is generous when it comes to connections! You have additional speaker outs at your disposal: one 16 ohm out, one 8 ohm out and two 16 ohm outs, plus an effect loop with send/return connectors, a +4dB/-10dB level selector and a mix control. The preamp output allows you to connect the JMD501 preamp to an external power amp. This connector also works when the amp is in standby mode (Silent Recording mode). The same applies to the phones output which allows you to play guitar with the sound of your amp without disturbing your whole neighborhood (in standby mode the speaker output is muted). A line input adds the possibility to connect a line-level source (MP3 or CD player) to play along with your favorite songs. 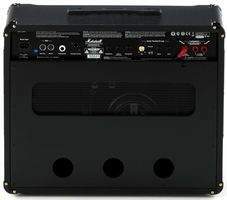 The amp also features an Emulated Line Out on XLR that emulates the miking of a 4x12" speaker cabinet. Just like the headphones and preamp outputs, you can use it silently in standby mode. The Footcontroller input is dedicated to the supplied foot switch, but the amp can also be controlled via its MIDI in and out. By the way, using the foot controller is somewhat complex in the beginning. I had already tested the foot controller of the Marshall JVM210H, which is a bit unpractical (pressing a switch for the second time allows you to change mode — green, orange or red — without changing channel). The JMD501 foot controller includes six switches and allows you to store up to 28 presets directly in the Preset Store mode. You can also assign some switches of the front panel to the foot controller: manual, channel 1-4, modulation on/off, delay on/off, tap tempo, FX loop, and compare. Now, the time has come to experience the sound of this unique amp! * Clean 1 Modern: Marshall JVM410H preamp, Clean channel in Green mode. 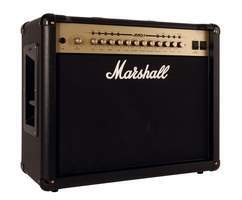 * Clean 2 Full: Marshall JCM2000 DSL100 preamp, Clean channel with Tone Shift on. * Clean 3 Classic: Marshall JMP-1 preamp, Clean 1 with Bass Shift on. * Clean 4 Natural: JMD:1 preamp with flat response (the amp's first own and new sound). * Crunch 5 Vintage: Mix of Marshall's 1959 and 1964 preamp. * Crunch 6 Classic: Marshall JCM800 2203 preamp. * Crunch 7 Deep: Marshall Haze 40 preamp (new tube amp made in Asia). * Crunch 8 Full: Marshall 1974 preamp. * Overdrive 9 Classic: Marshall JMP-1 preamp with OD2 preset. * Overdrive 10 Modern: Marshall JVM410H preamp, Crunch channel in Red mode. * Overdrive 11 Deep: Marshall JCM 800 2203 preamp + Bluesbreaker II stompbox in boost mode with maximum drive. * Overdrive 12 Detuned: Marshall Mode Four preamp with Scoop Mode on and Tone Matrix on 3. * Lead 13 Deep: Normal channel of the Marshall Haze 40 preamp with Boost and Bright on + Bluesbreaker II stompbox in boost mode with maximum drive. 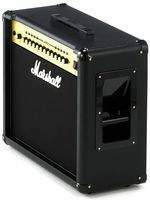 * Lead 14 Solid: Marshall Guv'nor stompbox. * Lead 15 Classic: Marshall JCM2000 DSL100 preamp + Bluesbreaker II stompbox. * Lead 16 Modern: Marshall JVM410H preamp, OD1 channel in Orange mode. The sound samples were recorded at UFO Studio, Paris (France) using a Chandler Limited TG2 mic preamp, a SHURE SM57 dynamic microphone and a BeyerDynamic M160 ribbon microphone, all going into a Digidesign 192 I/O audio interface. All simulations were recorded with a Gibson Les Paul Custom 1978. After listening to the sound samples, you'll realize that there are good things... and also bad things! The amp controls (gain and EQ) respond very differently depending on the selected simulations – which increases the sound possibilities. The sound results are interesting, even if some simulations disappointed me a bit, especially the clean presets (modern and natural) where the high frequencies don't have the warmth and round character of tube amps. Extreme presets sound a bit too muddy and compressed, and feedbacks are easily generated! I must confess that I really like the crunch presets of this amp. They surprised me a lot, especially the vintage and classic settings – they sound great. The overdrive presets are also very usable, some of them sound good (overdrive modern, overdrive deep and overdrive classic) while others don't (overdrive detuned). The overall quality of the effects is good, especially the modulation effects and the delay, which offers a lot of features (tap tempo, tape effect for the repetitions, etc.). Like many other digital reverbs, this one also sounds a bit imprecise at high output volumes. Marshall promised to revolutionize amp technology by offering a sort of summary of their legendary amps in a single combo – and everything for just under $1,200. 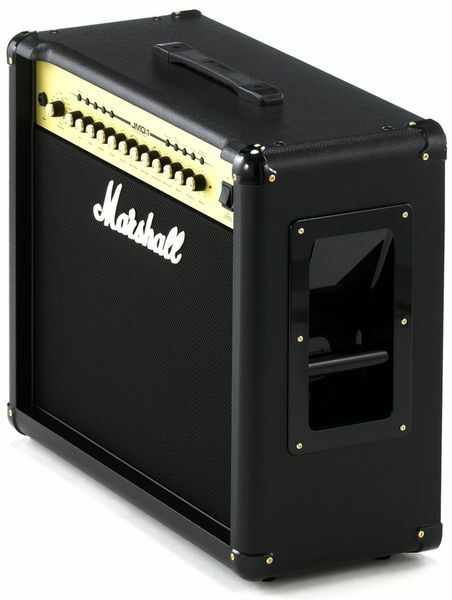 Reality looks very different: the price is a bit high compared to it competitors and the amp is not very versatile because the modelings are limited to Marshall amps. The cheap character of some presets disappointed me a bit (especially the clean sound), although the crunch presets sound very good and the modulation effects are quite convincing.